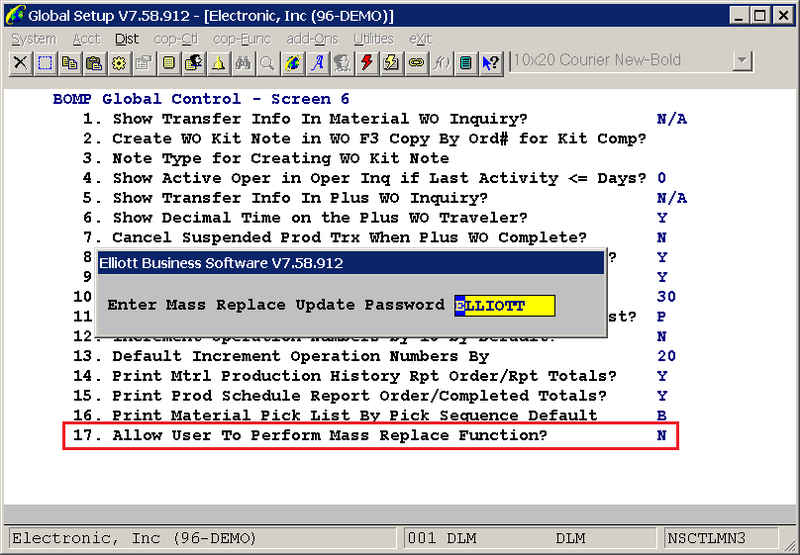 A new feature has been added to limit access to the Mass Replace function in the BOMP Product Structure File maintenance. allow an Update Password to be entered. 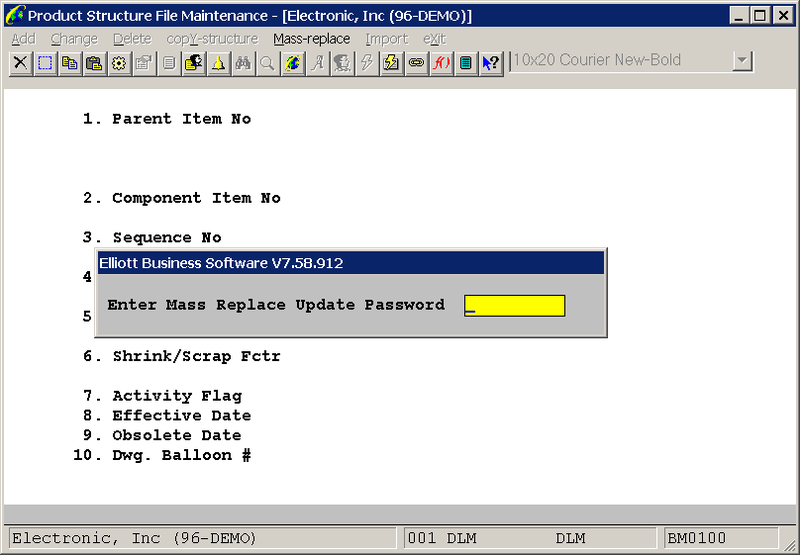 File Maintenance --> Mass-Replace, the program will display a new window asking for the Update Password. The correct password must be entered before proceeding to the entry screen. Feature - Add Default for Material Pick List, "Print By Pick Sequence"